Maximum percentage of Carbon (C) is 0.290. Maximum percentage of Manganese (Mn) is 0.90. Maximum percentage of Phosphorous (P) is 0.040. Maximum percentage of Sulphur (S) is 0.050. Maximum percentage of Silicon (Si) is 0.350. 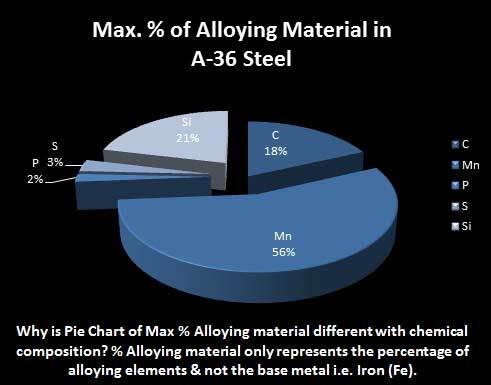 Mechanical Properties of A-36 Steels: The tensile strength of the A-36 Steels is expressed in Newton per millimeters and it must be at-least 400 N/mm2 (MPa) and maximum can be 550 N/mm2 (MPa). 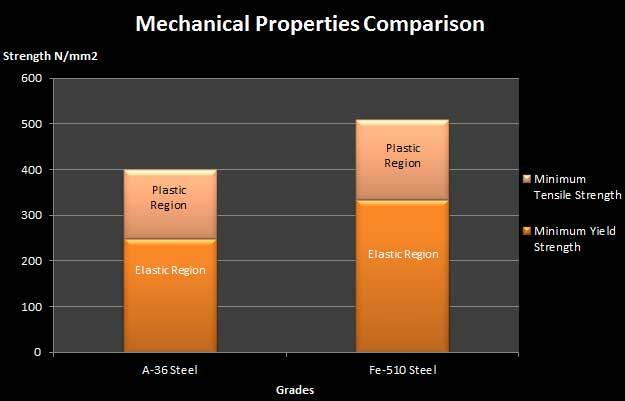 The yield strength is minimum 250 N/mm2 (MPa). The minimum percentage ranges for elongation is 23%. 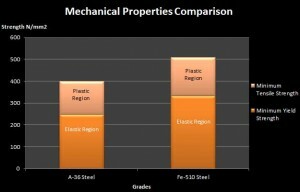 These are simply different types of materials of American standards. Not recommended for marine port. 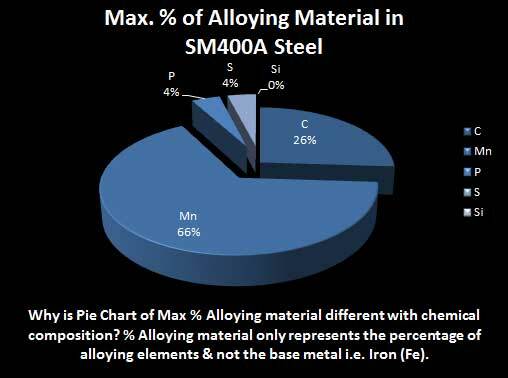 ASTM A570 Steel, grade 40 is the equivalent for S275, A-36 steel cannot be termed as equivalent to s275 however it can be compared and checked with product development department.